This blog post I’d like to dedicate to service catalogs, its creation and management as well as my experience of working with them for various industries. I really hope the practices and advices i will share will be of use for practitioners and consultants like I am. In my work I follow guidelines of ITSM / ITIL frameworks, because I find them one of the best for service provision and, most importantly, the most adaptable to non-IT industries. To begin with, what is a “service” and what’s its value? It might seem hard at first to clearly define a service due to the variety of ways it can be provided nowadays. From my point of view, providing service means creating value for customers. A client does not have to initially provide any resource or be responsible when working with a service provider. Yet, when the company brings intangible value, for example, outsource, software, transported goods, mined mineral resources, this can be defined a service. It’s optimal when the value you provide meets client’s expectations, but exceeding it is even better. Warranty – when the service corresponds with the quality and customer requirements (goods are transported on time and in the right way). Service catalog and service portfolio – where is the difference? Service catalog is a centralized list of available services that customers can order (external and internal to your organization). The crucial thing you need to pay attention to is the value you want to promote through it and offer to your clients. If you’re unsure the service will prove useful or be in demand, you’d better think twice before adding it to the catalog. Don’t forget that this very service catalog you make your marketing services will need to promote. The following case study proves importance of the marketing component. We consulted a small law firm, and they were one the best legal experts in the region. They had employees for every aspect of legislation: business law and contracts, customs support, labor law, mergers and acquisitions, legal support of start-ups. Therefore, their service catalog contained many positions, which they were extremely proud of. The company had high hopes to take the leading position in the market. However, after a while they discovered how difficult it was to provide marketing and presale support to such a miscellaneous catalogue. And, most importantly, clients left them for the legal firms that specialized on a particular aspect of law. The lessons were learned and right measures were taken. The company revised their catalog, significantly reshaped and shortened it. Service Portfolio Management is the process of supporting service lifecycle. In contrast with service catalog, service portfolio contains available services as well as the retired ones and those being developed. Don’t forget that with time some services lose relevance, become too complex to provide or simply undemanded. It’s a good practice to review you service portfolio at regular intervals or in connection with some events (for example, the release of a new version of the used tool) to determine what services need update. Even if the demand is stable, there is always a room for improvement. What is more, don’t hesitate to retire a service when it proves unprofitable. Let’s take the example of a customer who ordered shipment of goods. For him the service looks the following way: he leaves a request (through a phone call or a request form) and waits for the workers to come over, pick the package and deliver the goods safely to the right address at the right time. This is the level of customers. For the service provider it looks different. The company is in command of manpower and some resources (cars, computers, servers, electricity) – IT usually refers to them as components and infrastructure. All of them have some value. The business applies the components mentioned above in the proper configuration and creates service for a client and the added value for itself. There is also the level of production.The workers’ manager, or foreman, has the description of the task: delivery addresses, load weight and volume, contacts of the client and the recipient, information about the cargo (fragility, shape); there’s a team of workers and a number of cars at his disposal. Another person in charge of the service provision process is an operation manager. 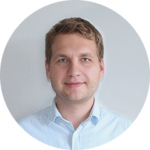 He monitors of customer requests, predicts their flow, manages resources and its availability). Does this scheme works for IT service provision? Definitely. Let’s analyze the provision of “Access management” service as an example. A client accesses the Service Catalog, selects and orders the service. The business level is responsible for cost of the service provided, the components involved, the infrastructure and manpower. The process level, in its turn, contains clear instructions and technical information and permissions to access the internal knowledge base and user requests. The working process must also be described in detail, eg. working hours, breaks, staff qualifications. One of our clients, a major Internet provider, offered the service of connecting to the network via optical channel. The company installed Service Desk software for structuring and automating the subscriber activation process. However, instead of filling the form, customers continued to send email requests and make calls to the service center. Many requests were lost and the workload was unbalanced, the desired automation wasn’t brought to life, and the clients were dissatisfied with the service level. Having studied customer behavior, the company found out that the name of the User request was too complicated to find it on the web site. Moreover, the request form itself was too complex and required a customer email to confirm user profile activation. Moreover, the user had to enter a lot of data manually (for example, the tariff plan). It’s only logical that potential clients found it was easier to write a short email or make a call. As a result, the company simplified the application form and integrated with the CMDB system. What is more, they introduced an automatic user notification on their application progress. To sum up, I’d like to give you some short and sweet pieces of advice. 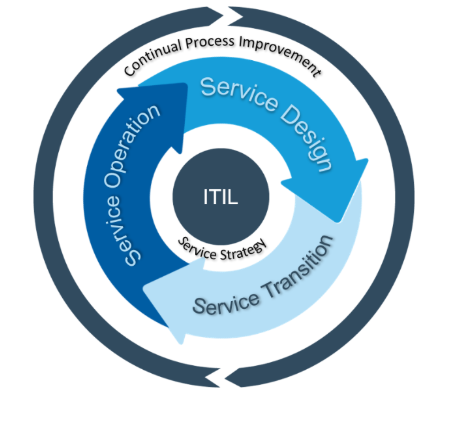 When compiling the Service Catalog follow the basic principle of the ITIL framework “make everything as simple as possible”. Also, revise your service catalog for relevance and compliance with your business mission. Finally, consider the components involved and dependencies, and automate everything as much as possible.